The First Trial & Execution in S. Francisco on the Night of 10th of June at 2 O’clock. “The Head of the Renowned Bandit! Joaquin! And the Hand of Three Fingered Jack! Notorious Robber and Murderer,” to be “Exhibited for One Day Only! 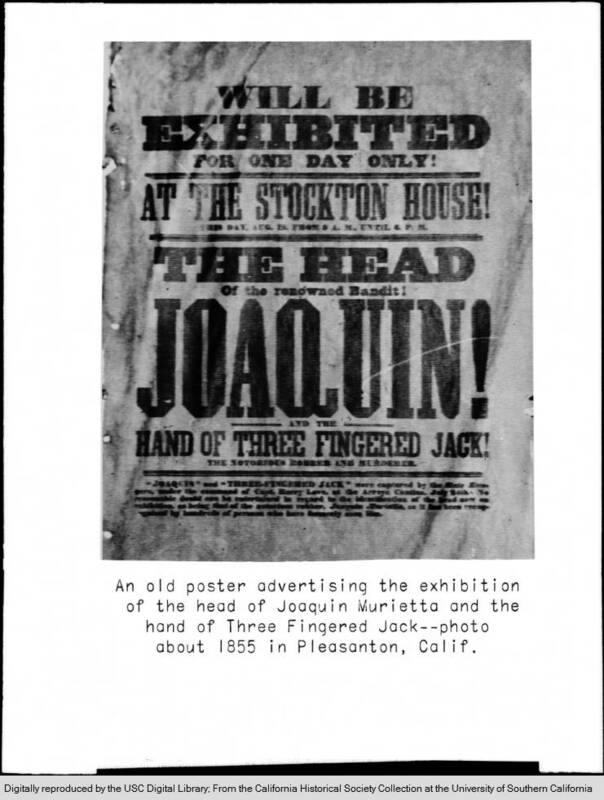 At the Stockton House!” advertisement. [The Great Man Has Fallen]. Assassination of James King of W[illia]m by James P. Casey, San Francisco [California] May 14th, 1856. Constitution and address of the Vigilance Committee: Fort Vigilant/Mass meeting.